Supporting the World’s Best Circus! 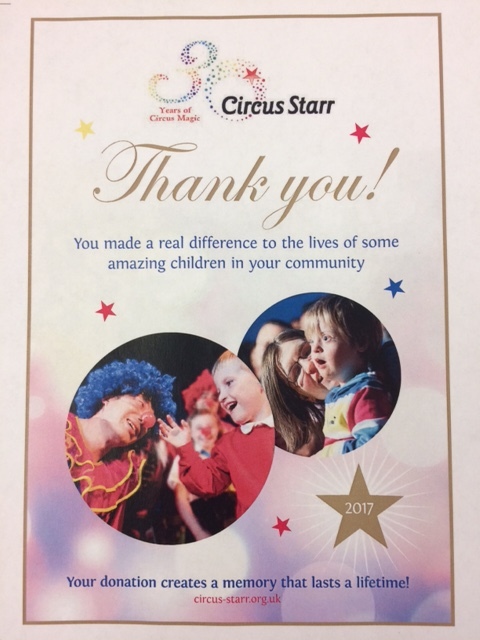 We’ve always been proud supporters of Circus Star – a professional touring circus that provides free seats for thousands of disadvantaged, disabled or vulnerable children through a 75 venue tour hosted three times a year. First founded in 1987, this not-for-profit organisation now provides over £1.3 million worth of free tickets to children, their families and community groups throughout the UK every year. Together with other businesses and charities, our donations enable thousands of children to attend these free shows and escape to the circus for a few hours to be part of its magic. Dubbed the ‘happiest circus in the world’ it brings together the most overlooked groups and hardest to reach families in communities. Mexican clown Chico Rico provides a break from constant hospital appointments; or a welcoming space for a child and their new carer to bond; or a friendly place for an autistic child to immerse themselves in a new experience.